Your home’s entryway is the first thing guests see when they visit, and having the right lighting is key to making a good first impression. If the foyer is too dim, it can be difficult for people to see as they take off their coats, and if it’s too bright, it can overpower their eyes as they come in from outside. 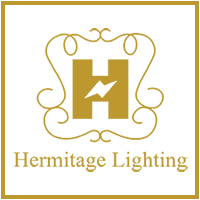 Finding the right lighting balance for your entryway doesn’t have to be a challenge, and at Hermitage in Nashville, we can show you a number of amazing fixture options. Homes with tall ceilings in the entryway or a foyer that stretches to the second floor can benefit greatly from a well-placed chandelier. 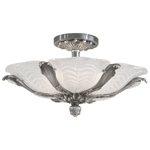 You may have tall windows above your front door, or a staircase that starts in the foyer, but whatever the case may be, a chandelier can be the perfect lighting option. 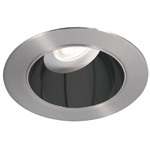 Our experts can help you choose the ideal fixture and explain how best to hang it and at what height it should be. 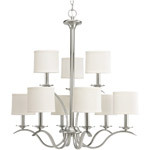 A foyer chandelier can be the statement piece that sets the tone for the rest of your home’s lighting. 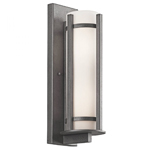 It’s also important to include accent lighting in your entryway, such as wall sconces or wall lamps. 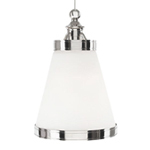 A few sconces leading down the hallway from the foyer to the rest of the house can show guests the way to go, and placing a mirror in the right spot can reflect the light from the sconces around the space, making it feel more open. 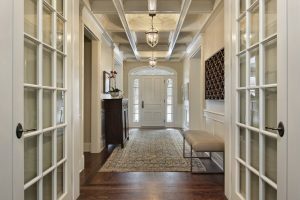 If you have low ceilings in your entryway and don’t have room for a chandelier, sconces and other accent lighting can brighten the space and help it not feel so confined.